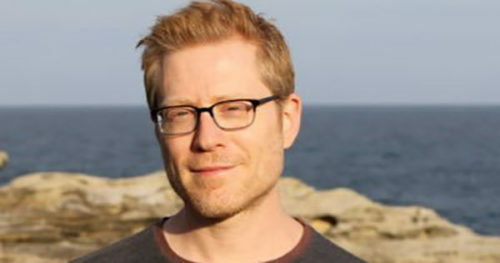 Actor Anthony Rapp said that he will “put on blast” actors who work on Red Sonja, which is set to be directed by Bryan Singer. Last week, four men came forward to accuse Singer of unwanted groping, sexual relationships when they were minors, and sexual assault. Singer, who directed Bohemian Rhapsody, has previously been accused of sexually assault. After the new allegations came out, Millenium Films chair Avi Lerner confirmed in a statement that the upcoming film Red Sonja would be directed by Singer. “The over $800 million ‘Bohemian Rhapsody’ has grossed, making it the highest grossing drama in film history, is testament to [Singer’s] remarkable vision and acumen,” he said. Rapp, though, said on Twitter that he would hold other actors accountable for working with Singer. He responded to criticism that he did not have proof of the accusations by bringing up others in the industry who have known about Singer’s alleged behavior for years. I have friends who have witnessed his behavior for years. As have many many many people I don’t personally know. I believe them all, including these men who came forward and who have *nothing* to gain by doing so. So far, no other Hollywood actors have joined Rapp’s call to keep other actors out of Red Sonja. Even Alyssa Milano, widely credited with reviving the hashtag #metoo in 2017, has not denounced the project.